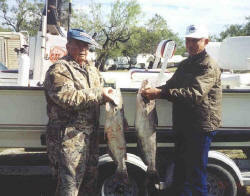 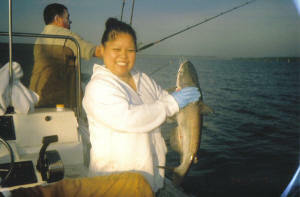 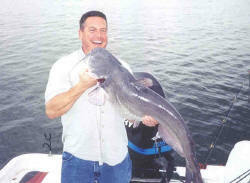 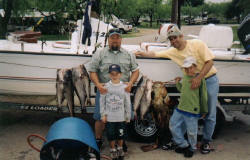 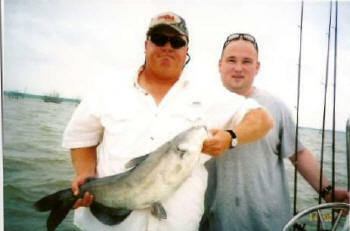 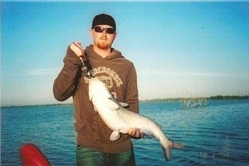 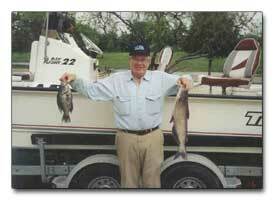 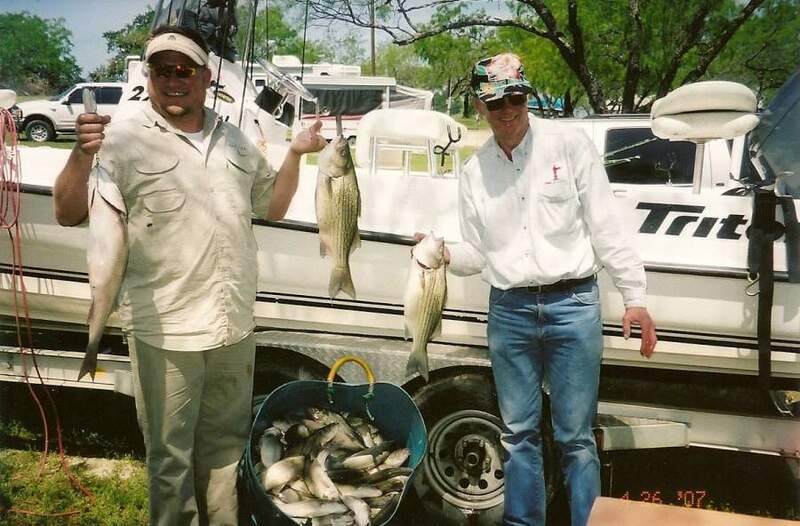 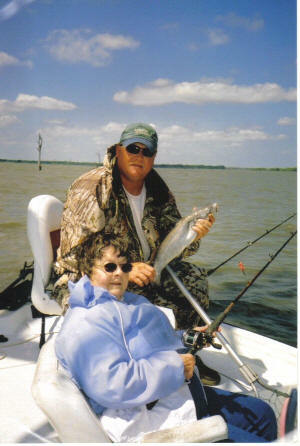 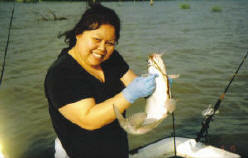 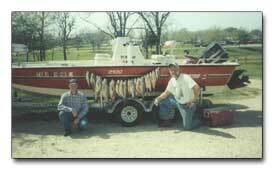 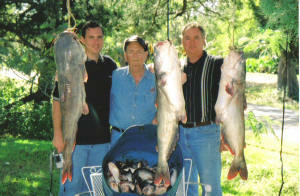 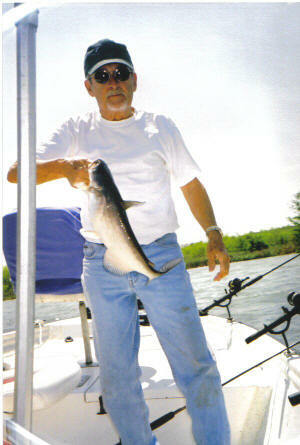 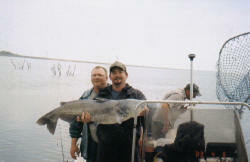 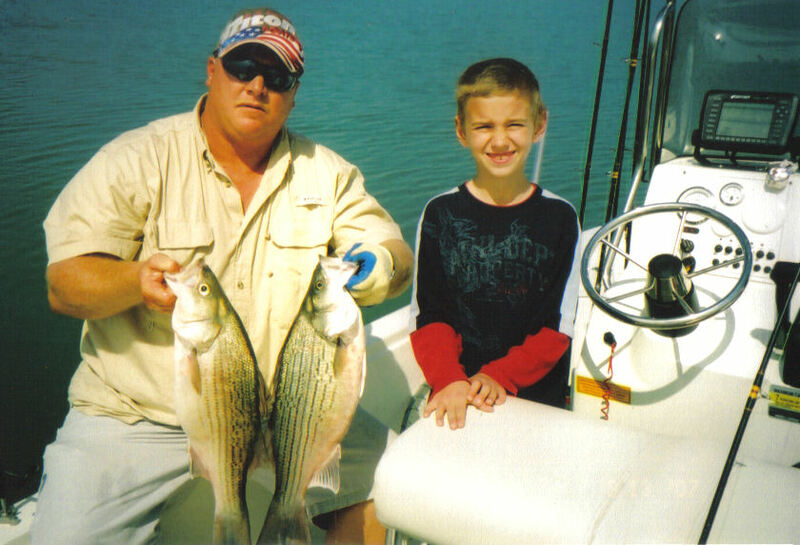 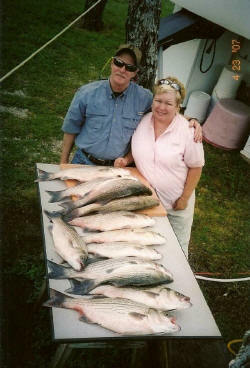 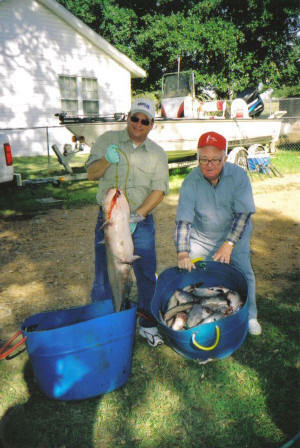 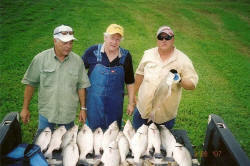 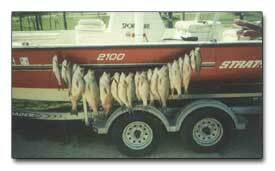 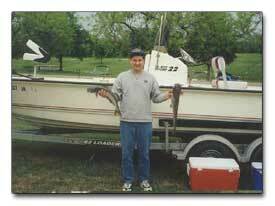 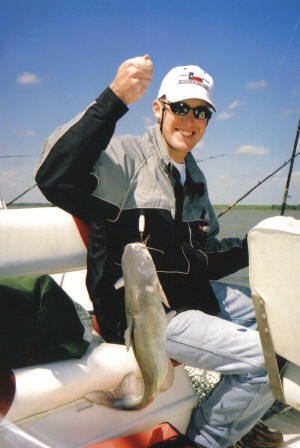 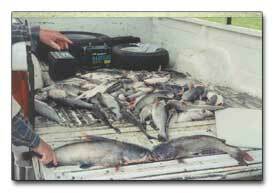 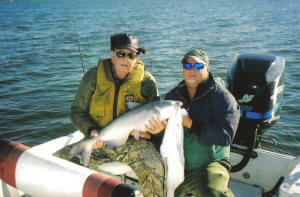 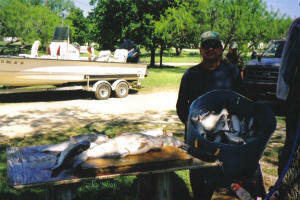 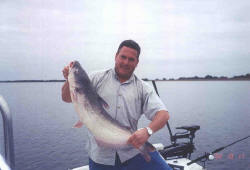 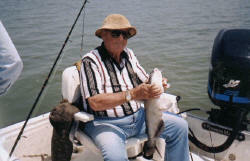 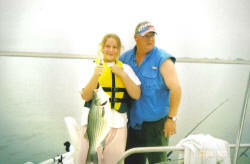 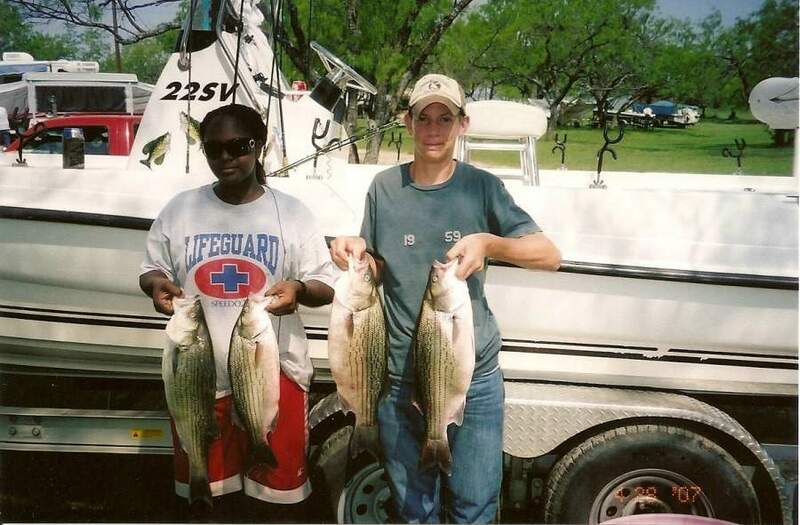 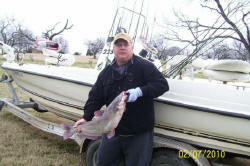 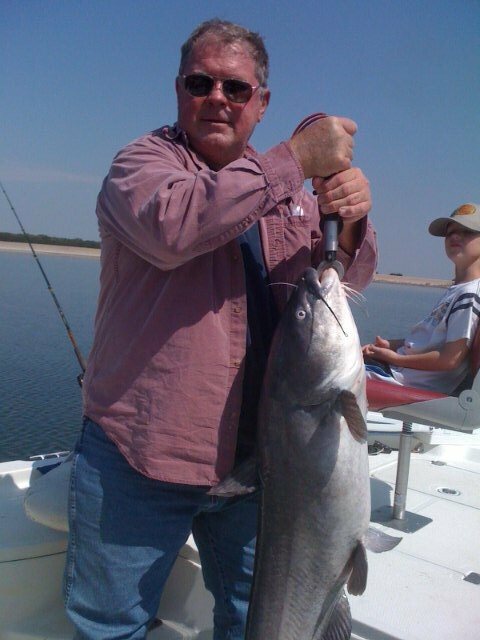 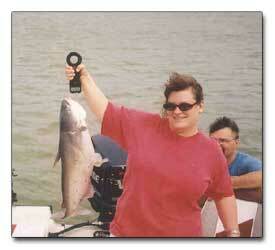 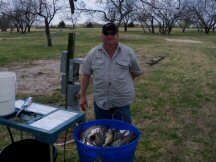 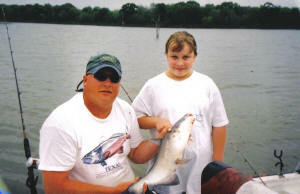 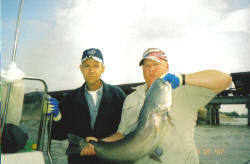 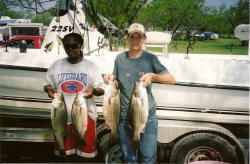 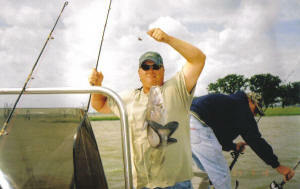 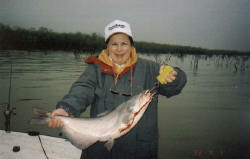 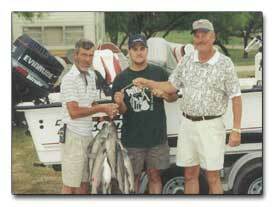 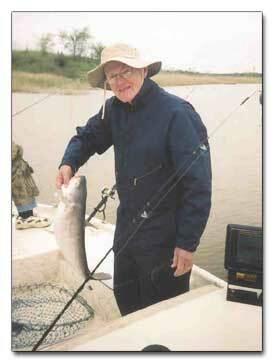 44,752-acre lake located East of Corsicana off Hwy 287 and is known as the "blue cat hotspot." 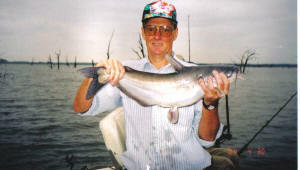 September Hybrids: Spring/Fall This is the lake for cats and hybrids and when it comes to this lake - Keith Ginsel knows his fish. 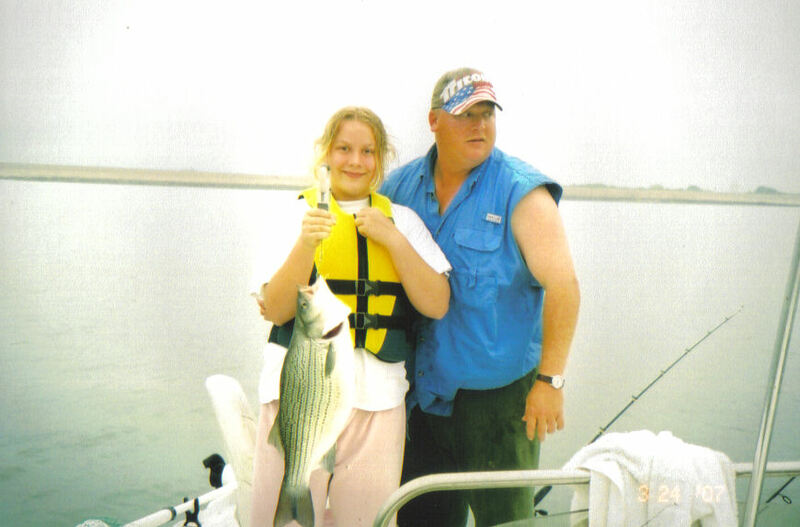 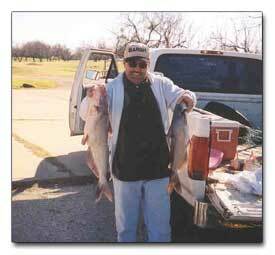 He has been highlighted in Fishing & Hunting News (Richland Chambers, It's a smorgasbord out there, "Cats & Hybrids" July 8 - Aug 5, 1999 pp 21-22). 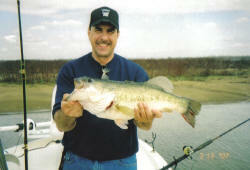 Writer Luke Clayton covers Keith Ginsel and his guide service and Ginsel's ability to understand their habits. 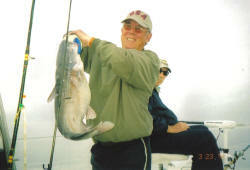 Ginsel is quoted as saying, "Catching blue cats is relatively easy, finding them is the trick," and finding them is not a problem for him. 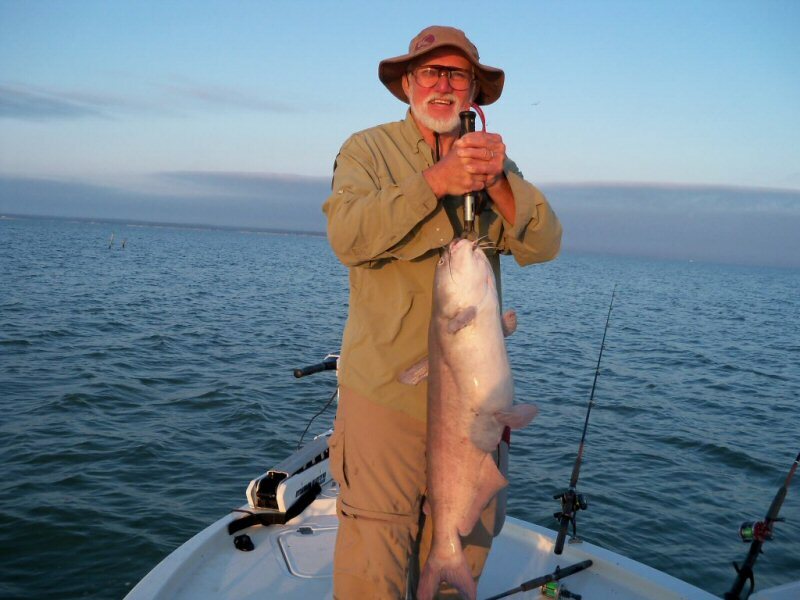 "Knowing where they school, and what they bite is essential," he says. 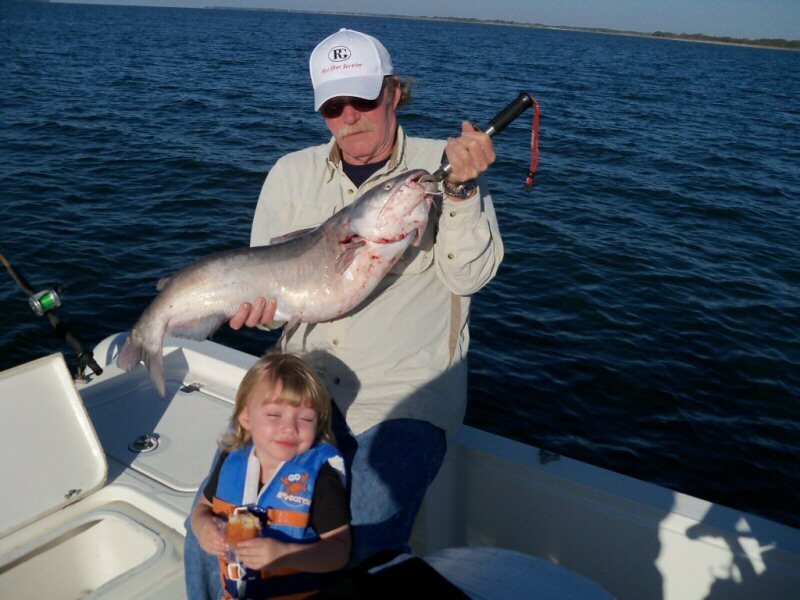 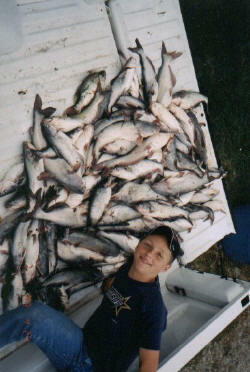 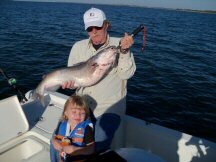 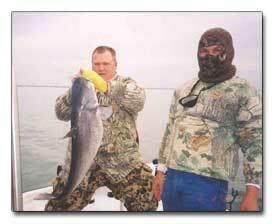 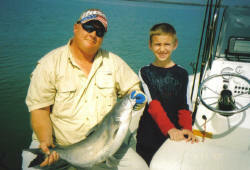 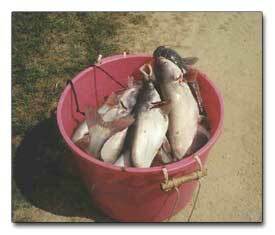 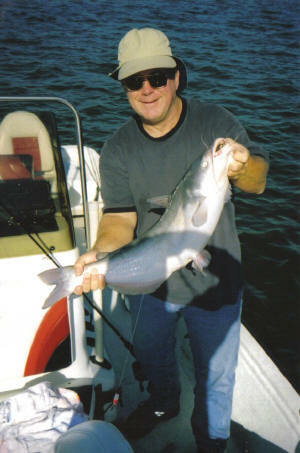 "Blue cats commonly run 1-8 pounds, but catching fish over 10 isn't uncommon. 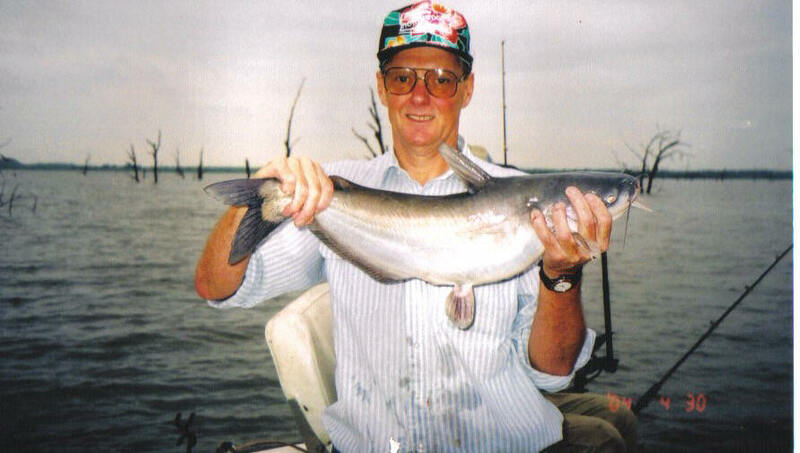 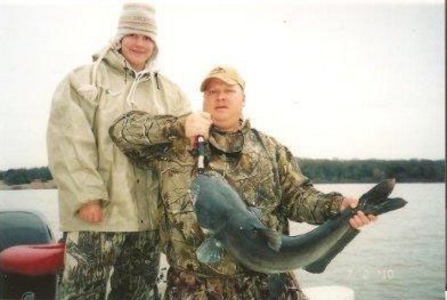 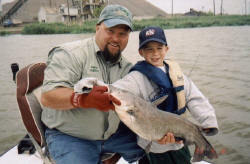 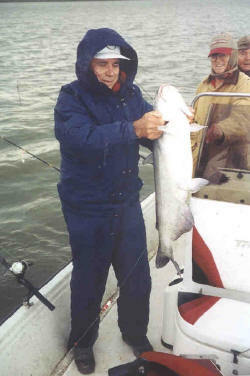 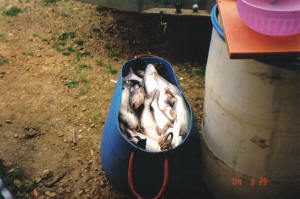 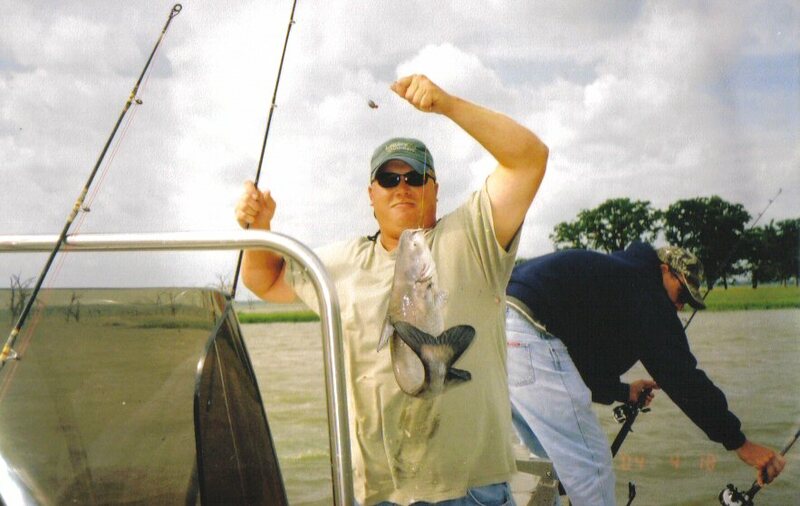 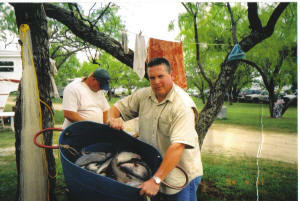 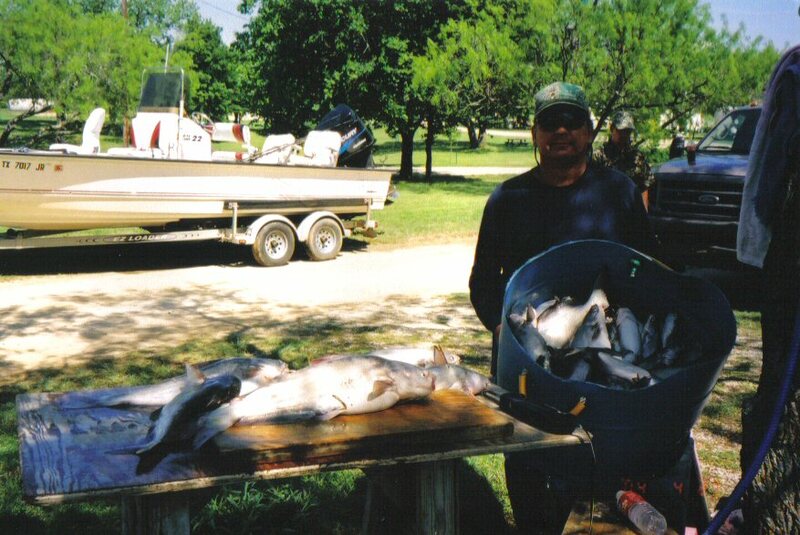 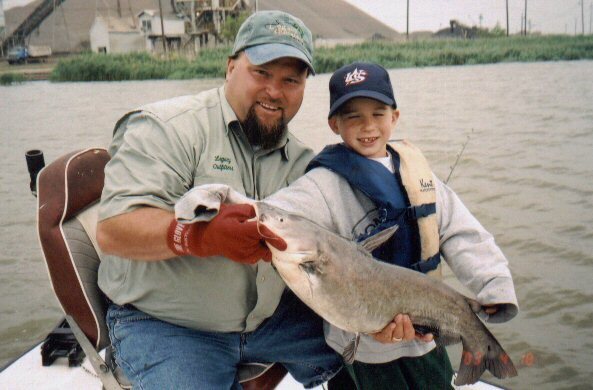 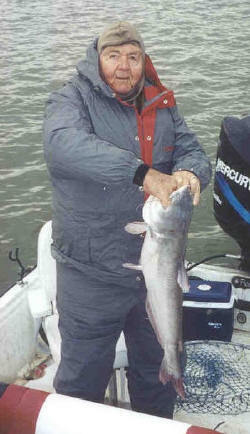 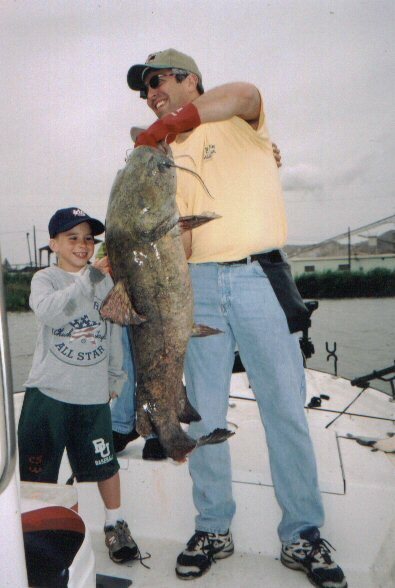 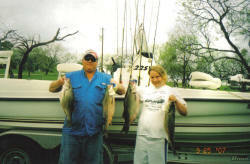 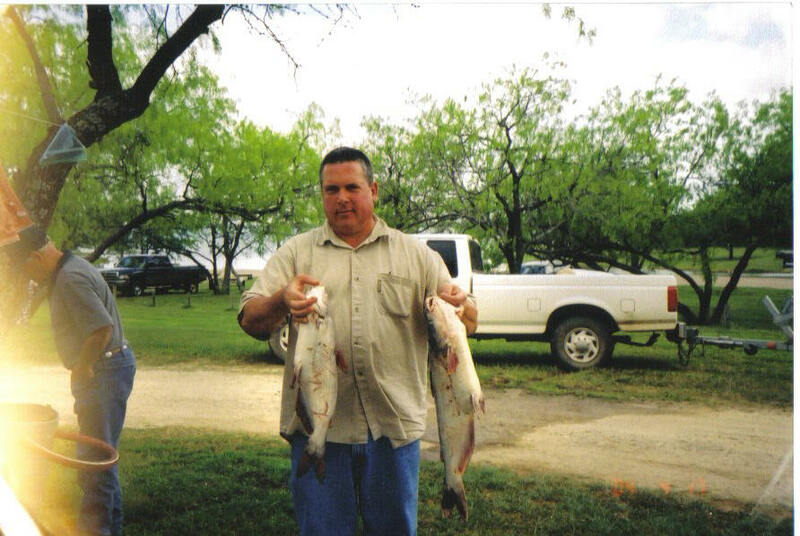 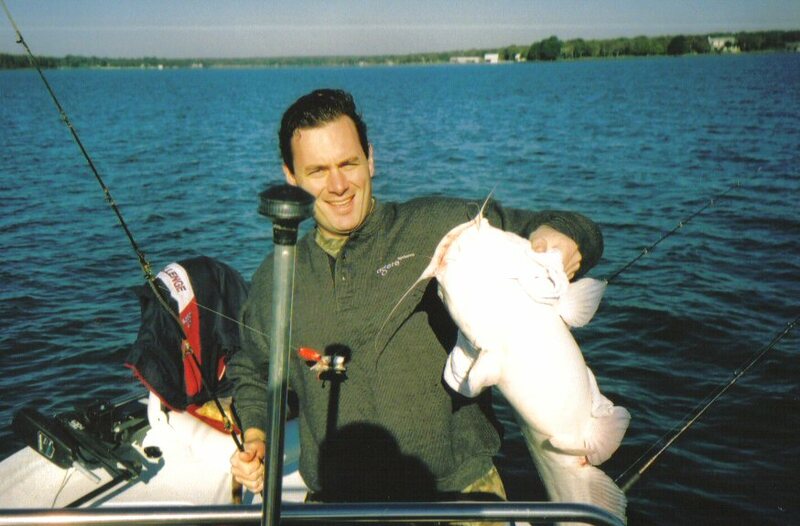 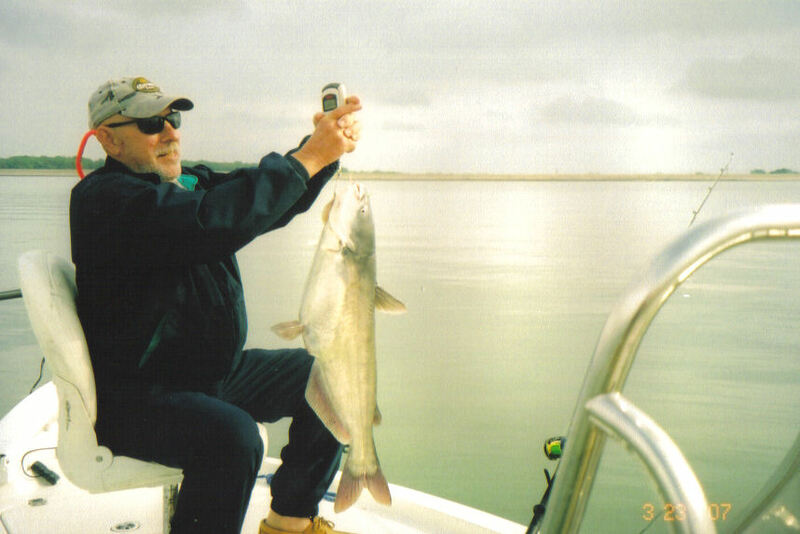 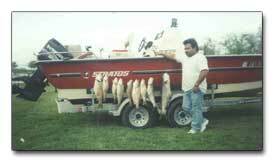 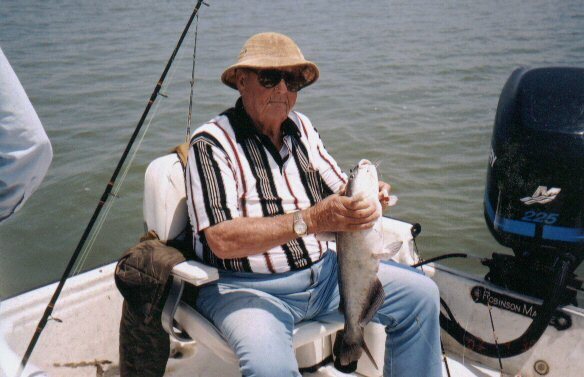 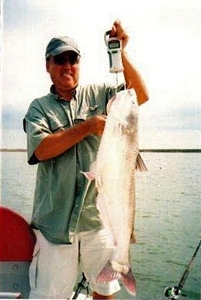 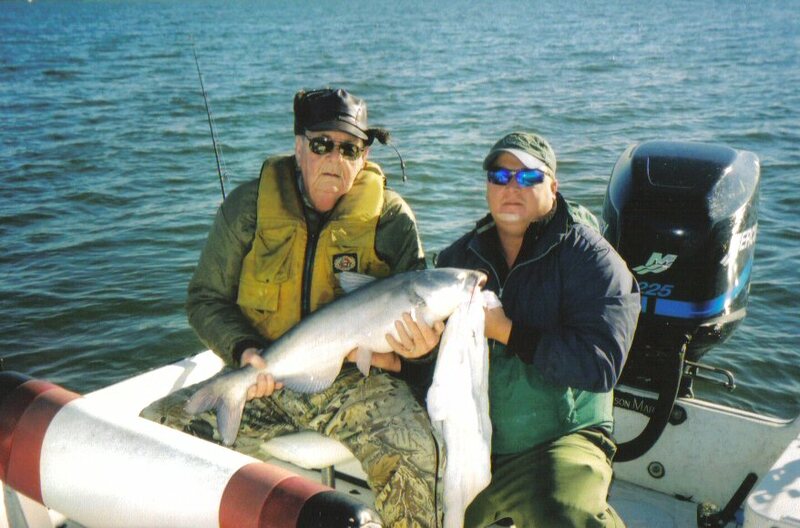 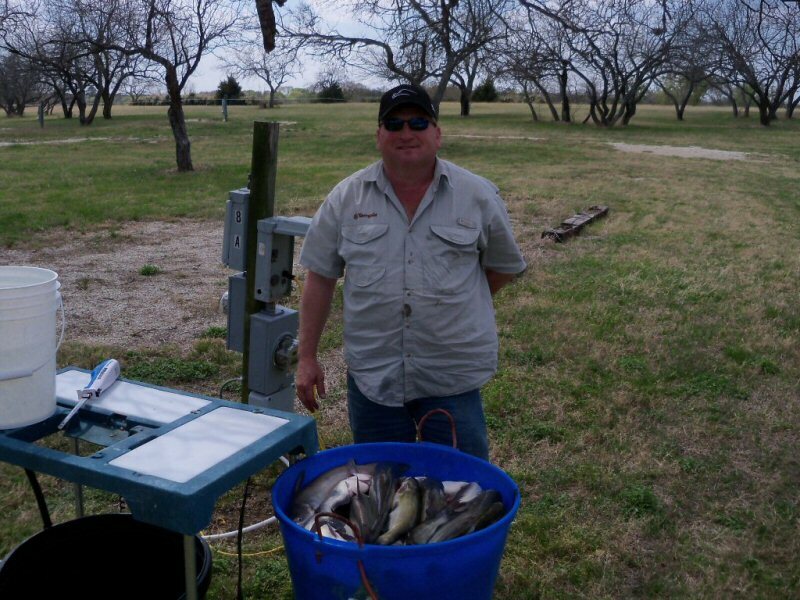 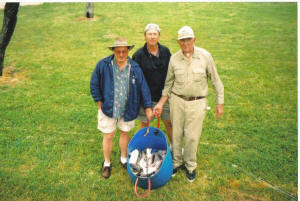 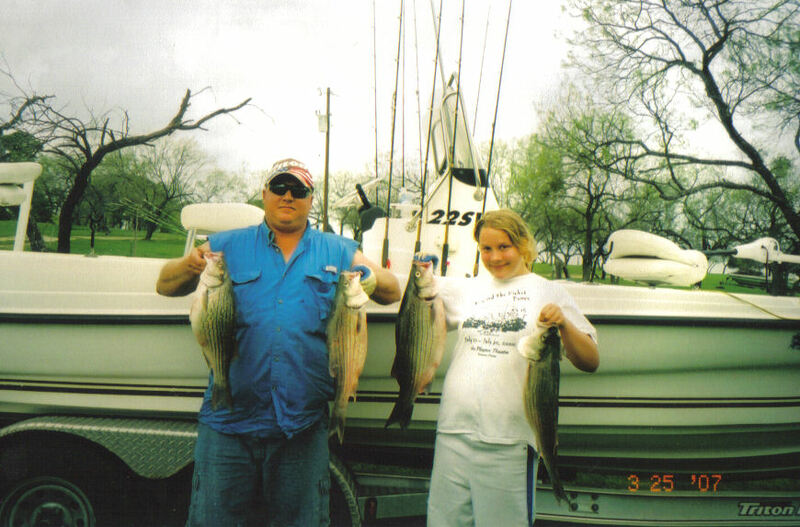 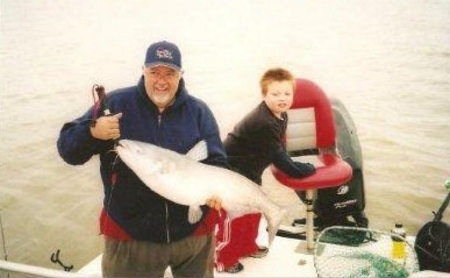 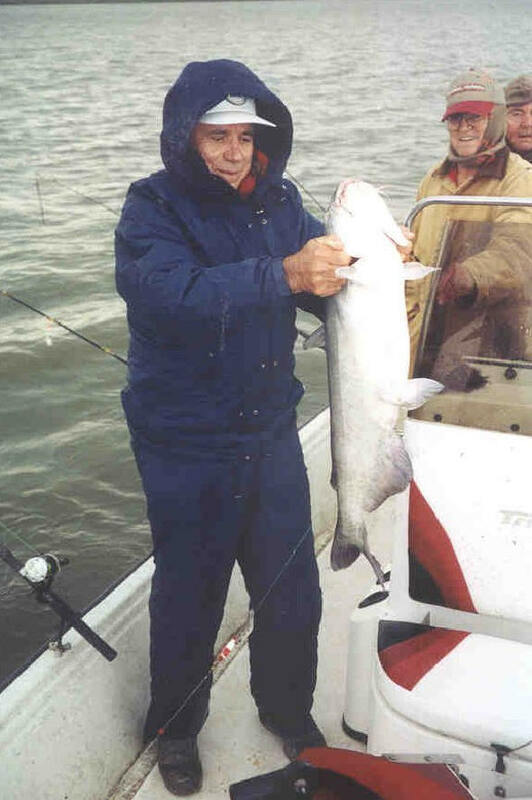 This tid-bit sums up his blue cat catching ability; Ginsel is quoted as keeping track of fishing for blue cats in late May of 1999, and on eight trips to Richland Chambers he had a total "poundage" equalling a few pounds shy of a ton, giving new meaning to having a "ton of fun!" 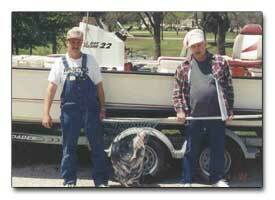 This site hosted and maintained by: Lincoln Webdesign, L.L.C.